SPACES ARE LIMITED SO PLEASE REGISTER BELOW IF YOU WISH TO RECEIVE AN APPLICATION FORM. 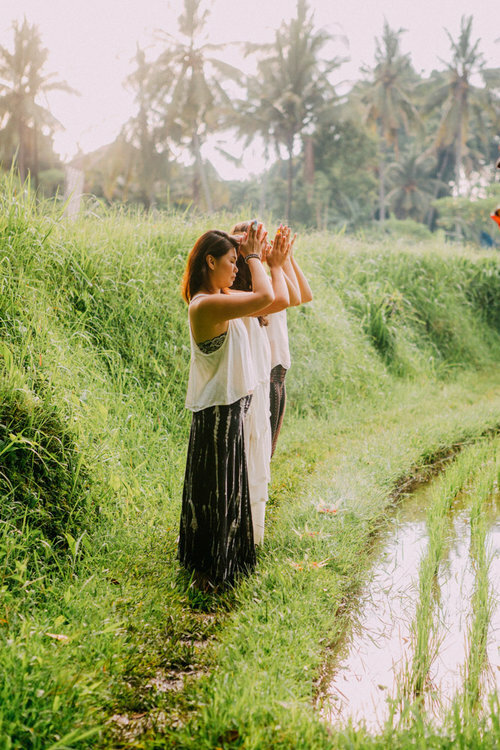 This retreat offers you a safe space to explore the healing medicine of your feminine creative life force.You will learn how to be present in your body and nurture your inner goddess in every moment of your life. Through awareness, breath, movement and sound you will listen to the wisdom of your womb and reveal the light of your heart. We stay in a beautiful Retreat space on the north shore of Bali surrounded by lush nature and mama ocean. You will receive an instant dose of relaxation & rejuvenation from the moment you enter this magical place. Treat yourself with an experience that will stay with you forever. Deposit: To secure your place we require 500 Euro or 500 USD within 2 weeks after registration..
As we are financially responsible for the retreat, we ask you to respect that payments are non-refundable and we cannot make any exceptions to this agreement. If you are coming from abroad, we recommend landing in Bali 1-3 days before the retreat starts.